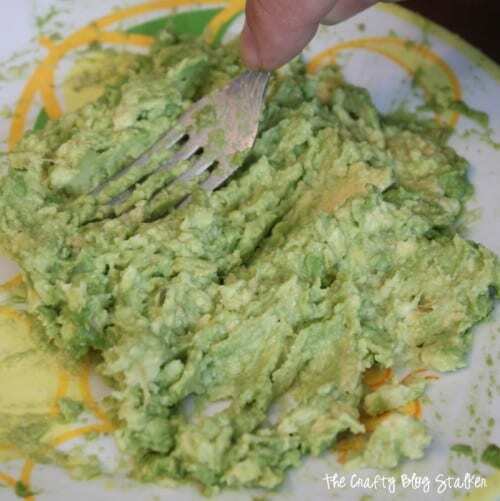 A simple Guacamole recipe that only takes 3 ingredients and can be made in minutes? 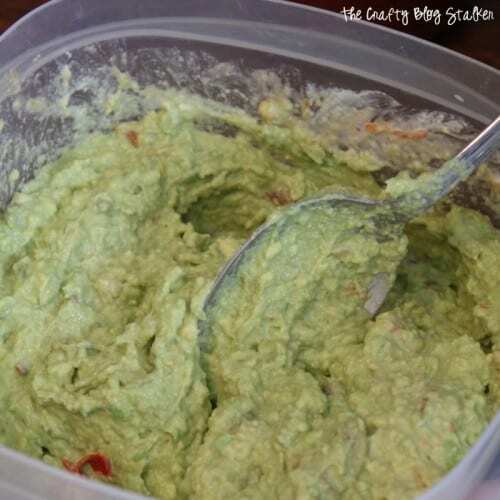 Great as a guacamole dip, a guacamole spread or to add to meals. I remember the very first time I had this dip. I was at my sister-in-law’s home and there were several families gathered together to watching football and we were enjoying each other’s company. Melanie (my sister-in-law) had been talking about how good this dip was and how easy it was to make. I was eager to try it when she finally pulled it out. With the first dip of my chip, I was absolutely hooked. She wasn’t kidding! Oh my gosh! How I wish I could correctly describe the amazing deliciousness of this guacamole dip. Then Melanie reminded me, “and it’s only three ingredients!” I knew right away that I wanted to share this recipe with you! The best part was, I didn’t even need to write the recipe down because IT’S ONLY THREE INGREDIENTS!! Need a really cool tool for peeling your avocado? 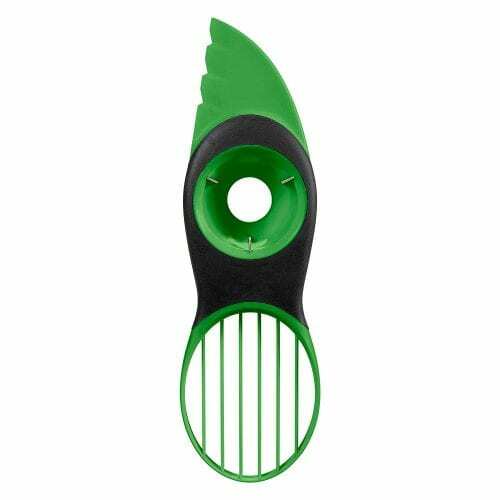 Check out this 3 in 1 Avacado Slicer Peeler and Skinner. It splits, pits and slices avocados and is super handy! If you eat a lot of avocados you definitely need one of these! The first thing you will need is avocados. This time, I used four but you can use as many as you need for how many people you are making it for. Put the smooshed avocado into a bowl and this is when you add the other two ingredients. It is sour cream and your favorite salsa. 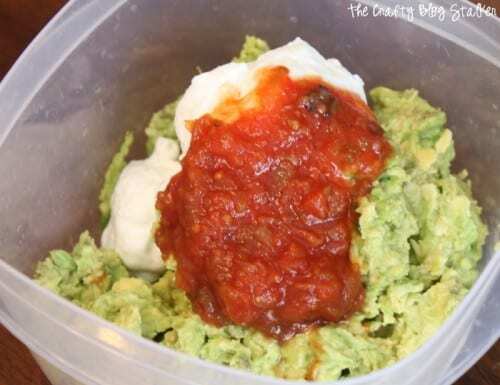 I don’t have an exact measurement of this, but I would say about two tablespoons of both sour cream and salsa, but you can adjust based on if you want your guacamole dip thicker or thinner. Stir until well combined. You don’t even need a hand mixer or anything. Just a spoon. Oh, look how yummy it looks! The only thing left to do is grab a handful of your favorite tortilla chips and dig in! Yummy and oh so good. 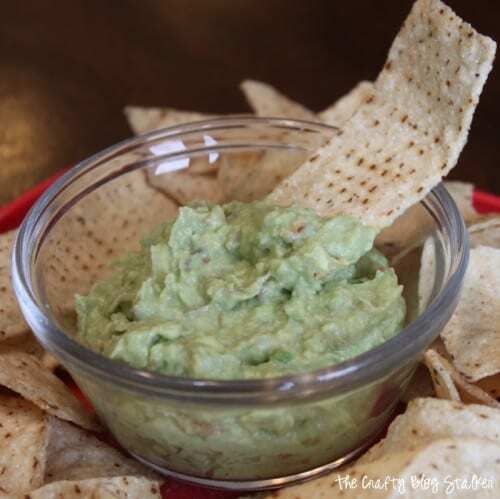 This dip is great with tortilla chips or excellent with tacos, nachos, enchiladas, salads, or anything you would add guacamole too. I may have even made this a couple times after the kids have gone to bed so I don’t have to share. Do you ever do that? Do you have a favorite late night snack recipe? Share and leave a comment below! SAVE 3 INGREDIENT GUACAMOLE DIP YOUR FAVORITE RECIPE PINTEREST BOARD! 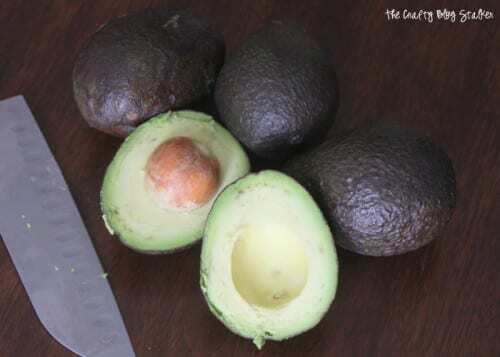 Cut the avocado, take out the pit and remove from skin. This is easy enough for me to make! I will have to give it a try! You are going to love it! So good. Sounds yummy. I wonder if it is Trim Healthy Mama friendly. Do you happen to know? Ellen – I don’t know, I’m sorry. looks delicious!! And sometimes Mom’s need a treat they don’t have to share! I love guacamole! Sounds delicious. Thanks for sharing at the Thursday Favorite Things blog hop. Your post has been pinned.